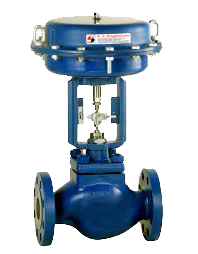 We offer proven design reliable control valves f different services, also give satisfaction in heavy duty high flow capacity for corrosive dirty & clean fluids. There are three styles of guiding, Top Guided, Top & Bottom Guided, Cage Guided for Different Working Pressure, Delta-p, Temperature & Fluid. User can select any Type of Guide according to his requirement. CF 8M ( SS 316 ) & OTHERS. - PRESSURE RATING CLASS : ASA 150 , 300, 600, 800, 900.